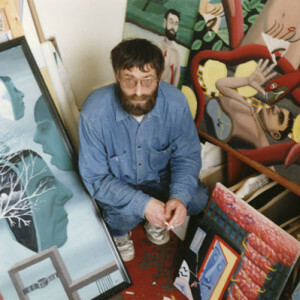 Bryan Charnley (1949 – 1991) was an artist whose work vividly portrays the effects of schizophrenia. While experiencing many of the classic symptoms of this mental disorder Charnley was able to produce a coherent visual and written record of his experiences. His work provides a bridge into an interiorised existential state. This website shows a selection of his paintings and their development up to the final Self Portrait Series. Bryan Charnley intended his work to show the common humanity of the sufferer and to illustrate what he or she may be experiencing via universally resonant visual metaphors This is most evident in the Allegorical Paintings, Bondaged Heads and the Self Portrait Series. Other material included here feature his Abstract compositions and Early Works. 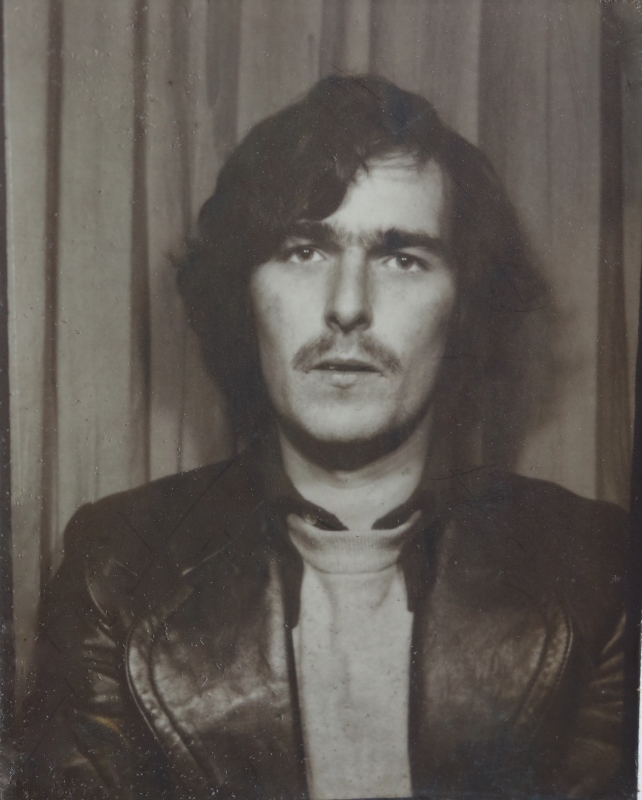 Bryan John Charnley was born on 20th September 1949 in Stockton on Tees. With his twin brother he grew up in London, Chislehurst in Kent, Cranfield, where his father worked as a Senior Lecturer, and finally in Bromham near Bedford. In the summer of 1968, aged 18, he suffered a nervous breakdown but was able to study at Leicester School of Art later that year. He gained as place at Central School of Art and Design in Holborn, London in 1969 but was unable to complete the course due to another breakdown later diagnosed as acute schizophrenia. From 1971 until 1977 he lived at home with his parents between periods of hospitalisation and treatment including ECT. In 1978 he moved to Bedford and began painting. The first paintings were representational works including large flower paintings. From 1982 onwards his work began to address his inner life, dreams and mental states particularly the nature of schizophrenia. In 1984 four of his paintings were purchased by the Bethlem Royal Hospital for their permanent collection. He had a solo exhibition at the Dryden Street Gallery, Covent Garden in London 1989 and exhibited two paintings at the Visions exhibition at the Royal College of Art in 1990. However the little recognition he received was outweighed by the day to day problems of his illness and the heavy medication he was prescribed to counter it. His final work, The Self Portrait Series was painted as he experimented with varying dosages of medication. The 17 portraits show graphically the terrible suffering of mental illness. In July 1991 Bryan Charnley committed suicide. Subsequently the Self Portrait Series was exhibited at the National Portrait Gallery in 1995.